In the first two years of a baby’s life a dramatic transformation occurs in his ability to control his body. The new acquired capabilities mark their signature on all body systems, and the interaction with the physical and social world: starting from the head lifting, which enables the baby to look and watch, through sitting, which enables environmental investigation through the hands, and all the way to talking, which broadens communication. Many babies exist on the scale between normal and standard development, and a development characterized with difficulties to adjust themselves to new functioning. Some professionals support the non-interference approach, claiming a child should be left alone to enable the ontogenetic process develop by itself. This article will deal with questions such as is this lack of skills will repair itself, or is there a need for interference in broadening the movement repertoire? When such interference should take place? Will a neglected window of opportunity leave a mark in adolescence? 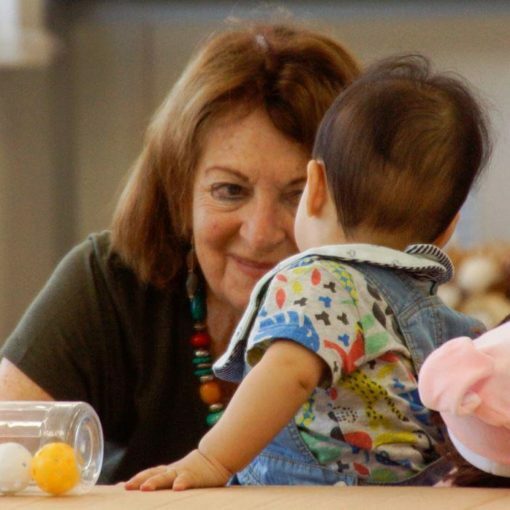 Dr. Moshe Feldenkrais ideas regarding the roots for a baby early development are the theoretical base to the CS method. Facing the non interference theories, claiming there is no need to interrupt with the developmental stages, stands the fact that babies not always develop when “left alone”. The evidence is that in recent years there is a steady growth in children suffering from motoric, behavioral and social problems as early as kindergarten years. In the last decade the people specializing in developmental psychology and the somatic field investigate the influence of parental involvement on their babies’ motoric, cognitive and emotional development (1,2,3,4). Indeed, the need for diagnosis and treatment as early as possible became highly substantial. A model developed throughout a research for a PhD work in Heidelburg University analyzed movement as a learning mean. The research was conducted through one school year in a German special education school, and is described in the book “Movement & Learning: The Feldenkrais Method as an Educational Model” (5). The research examined 6-10 year olds with learning difficulties. These difficulties were accompanied with motoric, posture, balance and orientation problems, and a low self esteem. Following a treatment via movement and touch, all participants in the trial group experienced a significant improvement in their posture, motoric order and balance. Moreover, a remarkable improvement had occurred in their space perception and its order, in their self esteem and in their inter-personal relationship, i.e. mutual help, self tolerance and kindness to others. On the other hand, and very unexpectedly, most participants in the audit group not only show any improvement, but experienced a significant withdrawal in all posture and balance parameters. This research was the stepping stone to the Shelhav Method, Child’Space, which is being exercised in individual and group sessions ever since. Should we interfere, and when? Interference, according to the Shelhav Method, means observation and analysis, a proprioceptive and sensor stimulus, focusing mostly on the functioning elements. It does not expedite development. In some cases, parents feel something is wrong with their child, even though they cannot put their finger on the specific problem. When raising their concerns to the doctor, they often experience reactions like “it will be solved on its own”. In other cases, minor problems do not catch parents’ attention, but in any case, even parents who notice a problem are most likely unequipped with the necessary tools to understand its essence or ramifications. Other parents are flooded with enormous amount of conflicting information on their role and parents and normal development, but do not know how to act in the moment of truth. Experience proves that “leaving the situation to naturally fix itself” usually results in a fixation in the baby’s feeling of muscles and joints inability, and the movement – instead of being enjoyable – becomes difficult and unrewarding. Minimal symptoms of slow development, such as narrow movement repertoire and low or high muscle tonus, are often being described as normal development. From my experience, early interference helps the baby’s optimal functioning. God’s in the small details. The added value of early interference is that synopses movement patterns are still unstable, the emotional baggage associated with these patterns is not yet accumulated, thus it is not yet difficult to stimulate and cause change. Solms and Turnbull (6) argue that synopses develop through a baby’s first year. Therefore the level of sensual stimulation will affect their development, meaning interference in this stage is crucial. Roche claims that neuro-development researches indicate that synaptic ties are even deleted when not used. Fogel (1) claims that in the last ten years a radical change in understanding the term of “self” at infancy has occurred. The idea is that the “self” sense evolves at babies much earlier than they can recognize themselves, and before acquiring language skills. The pre-lingual “self” is based on the self esteem as part of the relationship with the physical and social environment. We cannot know which of the babies will overcome the developmental motoric delays, or the frustration caused due to them, in the long run. An infancy balance problem might grow into a social problem: these children usually avoid any challenges requiring balance skills, orientation and coordination – ball games, for example, and prefer not to take part in these social interactions, which creates a vicious cycle. Feldenkrais and Stern reinforce this argument. Feldenkrais refers to the compensatory move among adults, while Stern had found it already in babies. In his book, Stern (4) describes how a dysfunction might occur, and states that when a baby faces difficulties in performing a move, his survival mechanism awakens, his brain and body develop a compensating move for every problematic situation, and he finds a solution that serves him in the specific situation. This temporary solution becomes a pattern. Over time these compensating patterns hold back any functional and normal development, and sabotage the quality of movement. Stern emphasizes that the emotional element might also be the source of motoric and social development. In order to analyze normal movement, it is crucial to check and see whether the child has spontaneous movement in various speeds and in a tension suitable for the act. In addition, the rotation along the spinal cord will be observed and treated in different variations and degrees. In case there is a difficulty or developmental delay, the movement is monotonous and partial. Attached is an illustration of the mutual relationship between the involved systems, according to the method. The multisystem treatment is best achieved through a parent-baby-practitioner triangle. The practitioner and the parent act as mediators who guide the baby to achieve a functional integration and a functional change. Early intervention might encourage a normal development, though it should be done not via mechanical “exercises”, but through a developmental repertoire movement or a game with functional meaning: the whole body should be organized towards making a movement. One example is the usage of going up and down stairs as a therapeutic mean – a much loved challenge for babies. The parents not always understand the meaning of this daily act, and in their homework (especially those parents to children with motoric challenges) we encourage them to use a stairway for a sensomotoric stimulus. What does actually happen with a baby while going up and down stairs? All his body organs take place in the action: the head, the hands, the back, the legs and the vision. Coordination between all body parts is a must, including weight transferring and moving forward. The baby develops a sense of height and depth: How high should I raise my leg? He deals with fear at various heights: What can I lean on? Who will help me? He gets curious: What waits for me at the next step? What new things will I see or experience? Control develops through trial and error. Going down the stairs by lying on the stomach and slipping the body backwards is also a challenge by itself. In this case, the baby has to operate the sensory system, without any sight involved. The reference to the functionality of all the systems. “Start with what functions”: It is easier for the brain to learn through the functioning organ, and the patient is cooperative and less resistant. Listening to the parent’s description of the baby’s condition, its characteristics and functionality, and his expectations of the session. Hanna & Meitzoff (7): “The best way for babies to learn prior to their language skills development is by watching and imitating”. As early as one month old, babies react more to face expressions such as eyes or mouth, which are the most relevant for facial expression reading. Fogel (1) & Rochat (2) relate to the overlapping between audio and proprioceptive stimulation, and emphasize the need to accompany the touch with words. Maurer & Salapatek (8) also support these findings. A basic principle: Use a proprioceptive touch to adjust muscle tonus, reorganize joint movement degree and better understand the skeleton awareness and body perception via touch and speech – combining all communication channels. Haddars-Alegra M (9) claims that premature babies should have a proprioceptive feedback and a respiratory adjustment. She tested babies’ movement, and found out babies represented complex and 3D movement (such as leg movement combining not just bending over and stretching, but also hip abduction and foot inner rotation). On the other hand, premature babies clearly represented 2D movements which lacked variety and complexity. These babies tend to be in risk of neurological problems (such as CP, clumsiness and ADHD problems). An explanation of what to look for in the developing baby, what is a normal development, and in case of a delay, what are the consequences, how to touch the baby effectively, how to calm him down, how to ease gas pains, what are the recommended carrying postures, when it is advisable to help the baby and when it is better off to let him experience (and sometimes make mistakes) himself. One mother states: “Both my children were diagnosed as hypotonic. The older one was late to raise her head, to turn over and to stand up. She also had behavioral difficulties. With the second child I decided to interfere at an earlier stage. During Child’Space sessions I learned to adjust the tonus and to communicate via movement and play. This child, unlike his older sister, developed by the book and was much calmer… I learned to watch, and it affected the relationships in the family”. In order for us to demonstrate the CS method, we will use the example of evolving from lying down to sitting independently. Making a baby sit is not uncommon, mainly because sitting down has some “advantages”: in a vertical position he has more stimulations and interest. A baby who was sat down prematurely, and did not evolve into sitting independently might skip major developmental stages, such as: leaning on the hands, weight transferring, crawling, and reorganizing stomach and back muscles. He then has to compensate over the premature skeleton and muscles sense by toughening some body areas. Thanks to this toughening he can “hold” himself sitting down without falling. Such baby does not usually have the ability to extract himself from sitting, without an adult’s help or falling down. Movement incapability like this causes frustration and develops a movement and emotional compensation through freezing and fixation that might become a pattern in the baby’s system. A baby has to learn to fall before he learns to sit, as he does in natural development. Once someone acts for the baby, he denies him the possibility to for trial and error which is important to his motoric and social development (Latach-10, Reed-11). The sense of autonomy – apart from his mom’s help – is a physical and emotional ability. Some of these babies will develop some creative solution for moving in space by dragging their bodies sitting down, or jumping while sitting. These original solutions will indeed enable them to move in space, but might cost them later on. There is also the emotional parameter: parents who do not urge their baby, and enable the pre-sitting stages to fully take place, are more attentive to their baby’s individual rhythm of development, thus contribute to healthy normal development and independence and autonomy establishment. An independent transmission into sitting is an index enabling to check the existence of former component in development – balance, usage of torso spreaders and torso flexors vs. gravity, rotational movement, organization of the shoulder belt, usage of hands as supporters and adjustment of the muscles tonus. Sitting, acquired through facing gravity and on the range of all former developmental stages, is a balanced sitting, enabling the baby optimal communication with his surroundings, and is the base for later developmental stages. Maria Knist is a Child’Space graduate German psychologist, who works in a medical psychiatric center for hospitalized mothers under depression, some of whom even considered giving their child for adoption. She implemented the CS Shelhav Method in a rooming-in unit, where mothers are hospitalized with their babies. Her research findings show that these mothers’ babies struggle to develop independence, and commonly suffer from underdeveloped social skills. Knist taught the mothers to touch their babies, to talk and smile at them. The mothers reported their connection with their babies improved, and that they have decided not to give them for adoption. Their new acquired abilities and the positive feedback they got from their babies created a new dynamics in the mother-baby relationship. Today, the CS method is being applied in this medical center as part of the holistic treatment. In the last decades researches show an increase in the number of children struggling with motorics, concentration abilities and social interactions. The question arises how we can detect this phenomena in early stages, prior to its development. It is a well known fact that the baby’s first two years are critical in his motoric and mental development. Any withdraw in the early stages, on any level, causes the creation of compensating motoric patterns that are quickly adopted into the system. These compensating patterns, in their turn, cause a disruption in the physical and mental development. This development includes all the relevant systems: the proprioceptive, the motoric, the visual and the auditory. 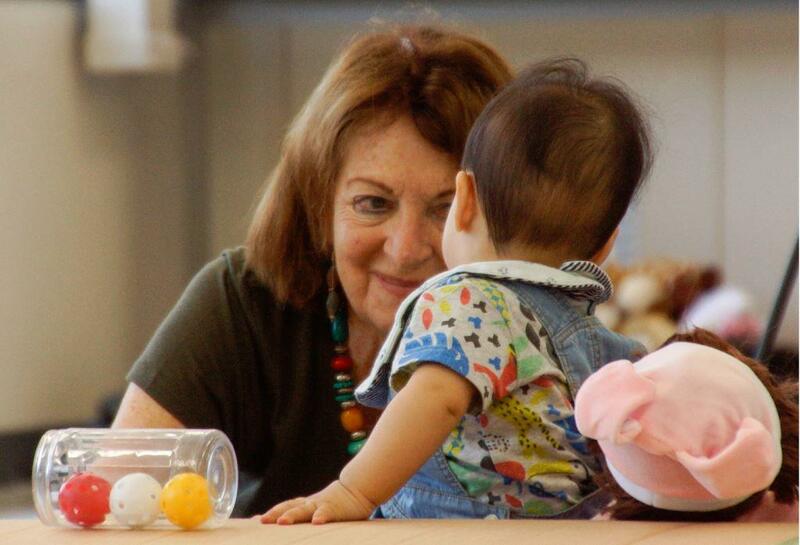 Through these systems, the baby acquires layers of physical, emotional, cognitive and social knowledge about himself. As wide as this knowledge stockpile is, so is his self projection. Observing the motoric and behavioral elements. Interfering in a non-rushing the dysfunctional, but rather supporting the functional. The participants in the interference according to Shelhav Method are the practitioner, the parents, the baby and the interaction between them all. Parents learn the stages of development, learn to figure out the non-functional movement expressions, and learn the optimal level of the interference element and the autonomy element. Through observation and interference they can see the baby as a whole – body and mind. The means are touch, movement that is no mechanical exercise, play that includes feasible challenges out of the developmental repertoire. The criterion for continuing or changing the scope is the baby’s positive feedback. This process requires the practitioner to exercise sensitivity, knowledge, recognition ability and creativity. We believe that if this knowledge will spread amongst all parties dealing with education and child care in early ages, an early assessment of the disability potential, and based on this – appropriate interference. By so there is a greater chance to reduce the number of children struggling with motorics, concentration abilities and social interactions. Chava Shelhav was a student and assistant of Dr. Moshe Feldenkrais in Israel and internationally, and has a 40 years’ experience. She is an MA graduate from Boston University, and her thesis, “working with brain damaged children according to the Feldenkrais Method”, was released in 1987 in the USA. Her PhD from Heidelburg University in Germany she got on a research examining the Feldenkrais Method influence on learning processes and other aspects in child’s life. In Israel Dr. Shelhav taught and promoted the Feldenkrais Method in institutions such as “Seminar Ha’Kibutzim”, “Wingate Institute”, the complementary medical services in the “Assaf Ha’Rofeh Medical Center”, in Child’s Development centers, etc. She is the CEO of the Feldenkrais Method Center “Feldenkraiszentrum – Chava Shelhav”. Filling in the Blanks: from unformed awareness to informed awareness. The Feldenkrais Journal, spring 2005. Movement and the development of sense of self: a multidisciplinary symposium – Seattle University, 2004. The Child’Space Method is being taught for years in Assaf Ha’Rofeh Medical Center, in Europe (in association with the Child Development Center in Kolin and in Amsterdam, Netherland) and in the USA (in association with Birth Through Three, Evanstone, IL). The Method is successfully implemented in Na’amat and Wizo day care centers, in private kindergartens and in the orthodox sector. Dr. Yoram Zandhaus and Dr. Chava Shelhav are conducting nowadays a research to test the method’s contribution to a normal ordered transmission from one developmental stage to another, and the influence of involving parents on the baby’s development. A comment to this article name: we sometimes have difficulties in naming the new “baby”. In first glance it seems simple – “child” and “space”, but it gets a whole new meaning in the expression Child’Space vs. Childs’Pace, the pace the baby is evolved at. Fogel A. Relation Narratives of the Prelinguistic Self. In Rochat Phillipe (Ed) The Self in infancy: theory and research, New York: Elsevier 1995. Rochat P. Early Objectification of the Self. In Rochat P. (Ed) in Self in Infancy: Theories and Reseach, New York: Elsevier 1995. Rochat P, Morgan R. Early Objectification of the Self. In Rochat P (Ed) in Self in infancy: Theories and Research, New York: Elsevier 1995. Stern D. The Interpersonal World of the Infant New York: Basic Books 2000. Shelhav C. Bewegung und Lernen – Die Feldenkrais-Methode als Lernmodell, Dortmund: verlag medernes lernen 1999.